Vindicia>Blog>How to price a subscription service: What goes into setting the best price? The subscription business model is flourishing across industries, leading startups and traditional companies alike to launch curated boxes or software-as-a-service (SaaS) offerings. As new services and products are introduced, businesses have to determine and fine-tune pricing in order to optimize customer acquisition and retention. This can be a tricky task. Setting a price is challenging enough for companies that were originally built on the subscription model — even Netflix must navigate those waters. For established businesses that are diversifying their offerings or transforming to a subscription business model, the task ahead is even greater. How, for example, would a one-time, $1,000 payment translate into a recurring format? There are no hard and fast rules here, so the answer is never simple. Each business must take different steps to find pricing that works for itself and its customers. Costs - Businesses must turn the lens inward by measuring and evaluating internal factors like the cost of acquiring a customer, the cost of delivering the service and all the costs involved in running a business. Competition - What are competing companies offering and charging? This information will help frame an initial ballpark price that reflects what customers are used to paying and what they are willing to pay for comparable offers. Customer lifetime value (CLV) - Some subscription business models are priced to be profitable every time a product or service is consumed. For example, a subscription box service may turn a profit on every box delivered. However, many others typically require a certain number of customer renewals to cover merchant expenses before becoming profitable. For all subscription businesses, and for the latter type especially, customer lifetime value is the key metric. When you factor customer lifetime value into pricing, there are many questions you need to ask. For example, how many more customers could you acquire if you were to reduce your pricing? Does changing the price affect how long they stay? What is the cost of utilizing sales tools such as freemiums and free trials to drive customer acquisition? What percentage of customers convert at the end of the free trial? What is the optimal length of a free trial for driving conversions? What is the cost of various steps a merchant can take to increase conversions? What percentage of customers that consume freemium content later convert to paid subscribers? How long does that process take? There is no end to the questions that could inform your pricing strategy. CLV calculations also directly feed into determining a customer retention policy. How much effort should you invest to retain a customer who has been with you for three months? Should you invest less, more or the same to try to preserve a customer who has been with you for, six months, 12 months or two years? What is the cost of various retention strategies? The best answer to all these questions is potentially already at your fingertips – inside your own data. Setting a subscription price is a data-driven process. There is no replacement for data in optimizing your pricing, acquisition and retention policy. Yet many businesses find that their data is inaccessible. It might not be stored at all, or it may live in multiple unconnected systems. 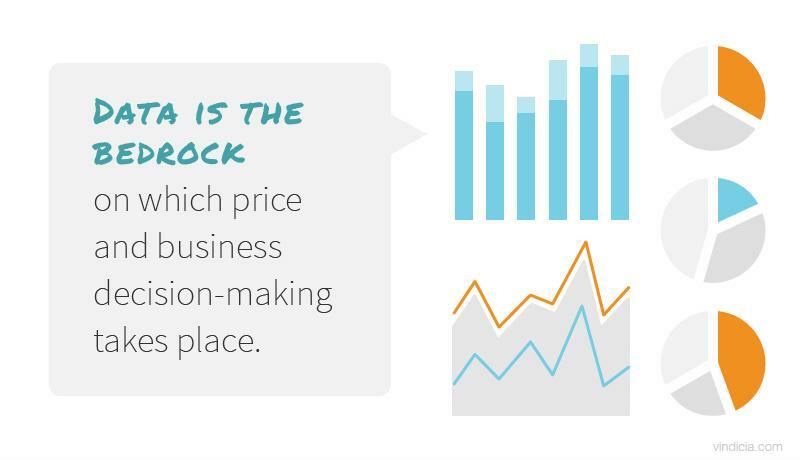 Data needs to become accessible, as it is the bedrock on which price and business decision-making takes place. Let's get back to determining pricing. Although perhaps the "wiggle room" in pricing is relatively small – a few percent here or there - the permutations can be overwhelming. Locking down a long-term price from the very outset is not necessary. At first businesses need to experiment. This isn't a random exercise by any means. The data collected beforehand will steer the experimentation process. For instance, different price points can be used in A/B testing. This testing could be performed in digital campaigns to measure which offer elicited the best response, or which free trial or freemium offer performs best in converting leads into paying customers. Experimenting has its limits, however. Once a business is established, it must be more cautious in adjusting price, given how sensitive customers are to change. Frequent fluctuations can be problematic and lead to confusion. A better option is to put forward basic and premium offers, and leverage offer extensions on top of existing packages to create differentiation. Bundles and tiers are commonplace across subscription markets and give businesses further levers to control and innovate pricing. Bundles and tiers can be beneficial in multiple ways, and with different customers. A basic account can attract new customers, while paired or bundled services offered at a discount can incentivize customers to upgrade, increase average revenue per user (ARPU) and stay longer. The availability of premium-tier accounts and services makes it possible for customers who are willing to pay more to get more, or, for example, to consume a service without advertisements. A variety of offers makes it easier to attract customers. Each can settle on a right-size option for them: a win-win for the service and the consumer. Once again, analyzing data is critical. Ideas for bundles and tiers will come from consulting the data and identifying specific user consumption habits that illuminate which products or services to package or how to bracket tiers. This post hardly scrapes the surface of the business considerations needed to determine pricing. But the logistics and tools required to embark on the analyses described above are simpler to identify. Agile and flexible product catalog/rich customer acquisition strategies - An agile subscription management solution is needed to support core pricing capabilities, easily retooling price or adding tiers, bundles, freemiums, free trials, discounts and so on. With an infinitely flexible product catalog, businesses can rapidly and easily introduce any type of offer changes and innovations. Comprehensive data collection and analysis - Having the relevant data at your fingertips is only one part of the equation. You must also have the ability to explore, identify and understand trends and patterns, which can be delivered through reports, dashboards and analytics. Consultancy services - Many businesses would benefit from receiving guidance from subscription industry and data analysis experts who have assisted dozens of companies in determining and optimizing their pricing and offers. With Vindicia and Vindicia CashBox, businesses benefit from a highly agile subscription platform featuring agile product catalog and advanced data collection capabilities. Our experts can help you formulate best practices and succeed in optimizing your pricing to help you acquire and retain more customers and compete at your best. That's all part of us being the Subscription People.